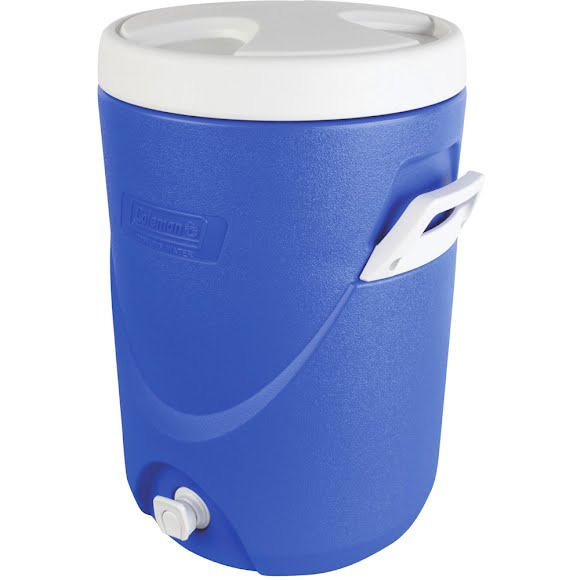 Keep the group cool and hydrated on sweltering days with a Coleman 5 Gallon Beverage Cooler. The side handles make carrying easy, and the screw-top lid stays secure during transport or while lifting this beverage cooler on a table top or bench. Once you're set up at your destination, the entire group can fill their cups from the easy-use faucet and stay refreshed all day long. Keep the group cool and hydrated on sweltering days with a Coleman 5 Gallon Beverage Cooler. The side handles make carrying easy, and the screw-top lid stays secure during transport or while lifting this beverage cooler on a table top or bench. Once you&apos;re set up at your destination, the entire group can fill their cups from the easy-use faucet and stay refreshed all day long.